THIS IS A SPECIAL BACKPACK MADE SPECIFICALLY FOR PEOPLE WITH DISABILITY. THE POCKETS WERE MADE SO ANYONE COULD ACCESS THEM, NO MATTER THE MOBILITY. IT HAS QUICK ACCESS POCKETS FOR PERSONAL ITEMS, AND SOME DEEPER ONES FOR CARRYING URINALS, BOOKS, TABLETS OR WHATEVER YOU NEED. HEAVY DUTY MATERIAL WILL MAKE THIS BAG LAST A LONG TIME. BIG RINGS FOR EASY ACCESS. 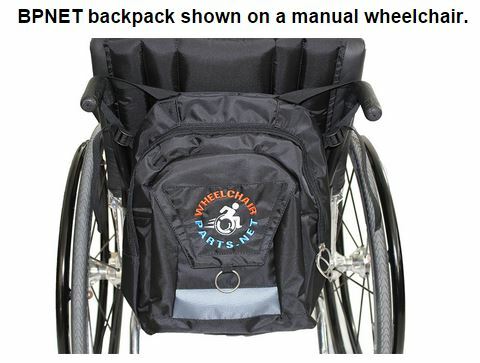 Click the button below to add the BPNET- DELUXE BACKPACK FOR WHEELCHAIRS to your wish list.